A dreadful group of robbers have camped for several months now on the Grey Neck Road in the Sorogour Mountains. The thieves stay in caves dug centuries ago, their proximity to the road giving them the ideal location for launch their ambushes. 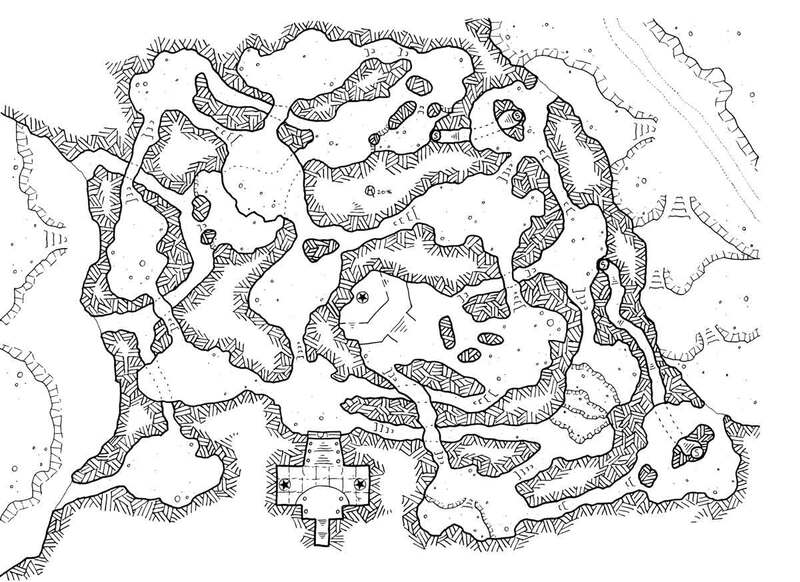 The bandits can easily escape through the secret passages while those who dare to pursue them become lost in this maze of caves and galleries. An imposing deific statue, obviously forgotten, sits proudly in one of the highest halls of the caves. This is no god at all, but Gavin, a powerful magician practising a form of forbidden magic, creator of the order of Mekanzur who ruled the region for centuries before disappearing. A strange engraving on an oversized boulder hides the entrance to the temple of Mekanzurs, forgotten for over a thousand years.